For years, Canadians watched from a distance as Omar Khadr, the youngest person ever to be held at Guantanamo Bay, grew up in one of the most notorious prisons in the world. But though the media closely followed Khadr's story, he rarely had the chance to speak for himself. Now, a new documentary is trying to shed light on the man behind the headlines. "Guantanamo's Child: Omar Khadr," debuts Monday at the Toronto International Film Festival. The documentary is an exploration of a man who has deeply divided public opinion. It features interviews with Khadr that were conducted over two days following his release from the Bowden Institution in Innisfail, Alta., in May, 2015. "Canadians thought they've known him for years, but he's always been a caricature in the public's eye. He's been portrayed as a murdering terrorist or a victim," One of the film's co-directors, Michelle Shephard, told CTV's Canada AM on Monday. "We never got to hear from him himself." Khadr was born in Toronto in September, 1986, but he spent much of his childhood in Pakistan and Afghanistan. He was sent to Guantanamo in 2002, at the age of 15, after U.S. forces stormed the Khadr compound and the teen threw a grenade, killing U.S. Army medic Sgt. Christopher Speer. He spent more than a dozen years locked up: ten years at Guantanamo, where he was convicted of war crimes and subjected to interrogations and alleged abuse, more than a year in a maximum security prison in Edmonton, and, finally, about four months at the medium security Bowden Institution. Khadr was released on bail on May 7, and has been living with his lawyer, Dennis Edney, since then. He is currently taking classes at the Northern Alberta Institute of Technology in Edmonton, and hopes to become an emergency medical technician. The documentary looks at the bond between Edney and Khadr, as well as other relationships in Khadr's life, such as with former cellmates and interrogators. "Everybody has an opinion about him. We wanted to allow him to speak for himself, but also (we wanted to interview) all the other people whose lives he's intersected with, who have very strong opinions of him," the film's other director, Patrick Reed, said. One particularly striking part of the film shows how Khadr influenced Damien Corsetti, a former interrogator at the U.S. prison in Bagram, Afghanistan. While in Bagram, Shephard said, Corsetti's brutal questioning tactics earned him the nickname "The Monster." Despite his reputation, the American says in the documentary that he didn't question his ruthless techniques, until one day he found himself facing Khadr. "One day he met Omar Khadr and saw a 15-year-old kid and it made him completely question everything in his mission," Shephard said. "He really suffers today, still, because of that." While the film features comments from both supporters and detractors, Reed said he found one similarity between the many interviews. "Some people love the guy, and some people have problems with him," Reed said. But, across the board, he said Khadr "changed everybody's life." "He's a very transformational guy, a transformational character," Reed said. 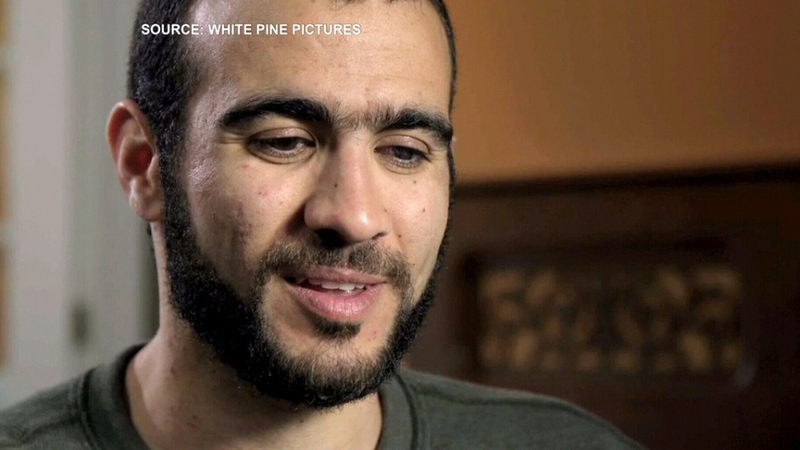 In the interviews with Khadr himself, the 28-year-old appears content as he relishes his first days of freedom. His calm demeanour surprised even the filmmakers, who had been researching him and following his story for years, Reed said. "He'd been in prison for half his life, so you would expect somebody to come out either completely shell-shocked or bitter or angry," he said. "And the overwhelming sense we had with the two days we spent with him filmed is just how adjusted and relaxed and at peace the guy is." And while audiences and interviewers may be surprised to discover how "normal" Khadr appears, the former detainee says in the film that he wants nothing more than to lead a regular life. In one clip from the documentary, he says, "For the longest time, all I would tell to anybody is that I wish I could just get out of prison and just be the next 'Joe' on the street who nobody knows and nobody gives a second look or thought to." Co-directors Michelle Shephard and Patrick Reed appear on CTV's Canada AM on Monday, Sept. 14, 2015.